A summer heatwave has dried the land of the Boyne Valley in Ireland, revealing the shadows of previously unknown circular enclosures. One of the most intriguing appears to be a distinct outline of a large henge. 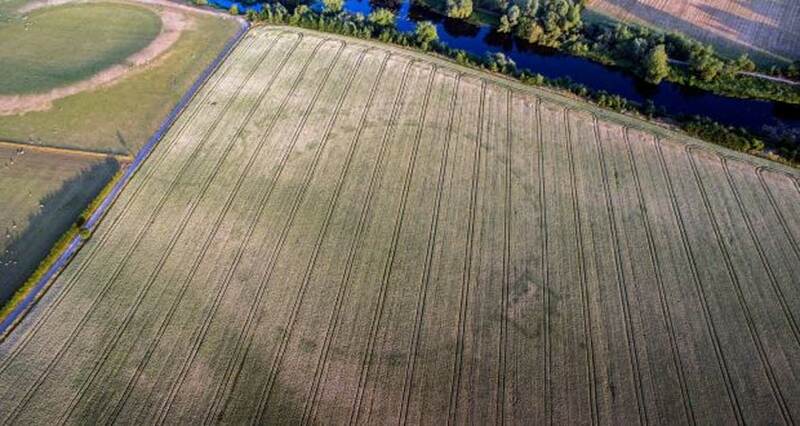 It was found via aerial photographs taken not far from Newgrange – giving it a unique appeal over other forgotten monuments which have been coming to light as the heatwave sweeps through. Murphy and Williams have both said they have notified the Department of Culture, Heritage and the Gaeltacht of their discovery. It will be interesting to see what the authorities have to say and may choose to do next. The Tuatha Dé Danann as depicted in John Duncan's "Riders of the Sidhe" (1911). ( Public Domain ) The Dagda was one of the Tuatha Dé Danann. A report on the find on Siliconrepublic, takes a step towards describing what the circular structures may have been. Very exciting. It would be a good idea to document all the positions of the stones accurately. E.g. A scale and North bearing on the aerial photo's would allow analysis, ever before a dig!